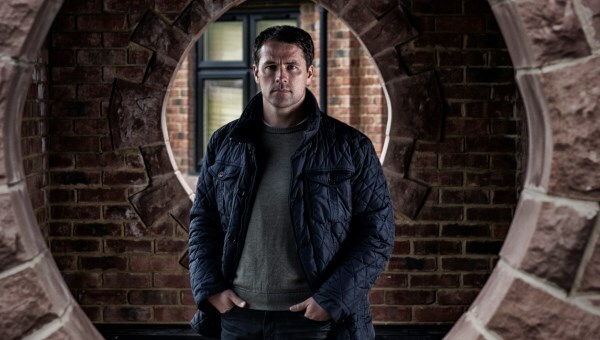 Michael Owen enjoyed a glittering career as a striker, breaking through onto the scene at Liverpool and then England, and establishing himself as one of the most potent marksmen in world football. Owen also enjoyed spells at Real Madrid, Newcastle United, Manchester United and Stoke City, while he ended international life with 89 caps and 40 goals for England. The 34-year-old hung up his boots last year, but engages in football media work as well as owning his own horse racing stables. 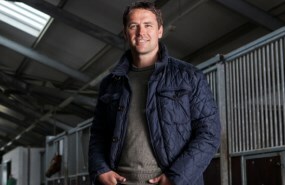 We caught up with Michael Owen when he appeared on cityindex.co.uk celebrity trader. Inside Futbol (IF): In your club career, you have scored some memorable goals – The FA Cup final against Arsenal, the Manchester derby. Which was your favourite? Or are there any others? Michael Owen (MO): The cup final where I scored two against Arsenal was certainly my favourite because we were one nil down, with only a few minutes to go. I remember running around the park as a kid and pretending, shouting out 'Michael Owen in the cup final. He scores!' To actually fulfil that dream when you're older and score two goals made it just a magical day. IF: Manchester United are likely to miss out top four this season. Do you think this could lead to a similar spell that Liverpool have had or do you expect them to be back to winning ways before too long; as in titles? MO: I think nowadays it's more competitive than it's ever been. Obviously, over the last one or two decades, they've always had one challenger or two challengers maybe, whether it be Arsenal or Chelsea. But now, I think it's getting tougher and tougher, all the big teams are getting stronger and there's more of them. Liverpool have come back into the fray, and then Tottenham and Everton are making giant strides. But Manchester United will always be a competitor, just because of the very size of them. If they're not achieving this year, then I'm sure they'll rectify things in a short period of time and they’ll be back. Whether they're going to be back winning again immediately is for debate, but they'll certainly be back in the top echelons of the game. IF: With Luis Suarez setting the Premier League alight at present, would you have liked to have played alongside him? And who is the best striking partner you played alongside? MO: Well, of course, he's one of the best players on the planet at the moment so, yeah, I'd love to have played alongside him. Best players I played with? Striker wise, well, I had a great record with Emile Heskey – he would be one of my favourite partnerships because we were so different and worked together so well. But I think in terms of best players, I would have to say Ronaldo, the real Ronaldo, the Brazilian one. I was fortunate enough to have a year with him at Real Madrid. He was at the end of his career and was probably half the player he was. But, in his prime, he was quite simply astonishing. IF: While we're on Real Madrid, they’re currently under a lot of pressure at the moment, vying to win their tenth European Cup. Did you feel the pressure when you were there and how did it compare to the other clubs you played for? MO: It's a huge pressure and, I think, they’re quite a unique club in that way. Over recent seasons, Real Madrid have won the league but not won the Champions League and the manager's been sacked for it. So, it just shows you how important the Champions League is to that club. They're in with a great chance of winning this year. They're obviously a top team with possibly the greatest player on the planet at the moment as [Cristiano] Ronaldo’s playing for them, so you've always got a chance with him on your team. IF: You must look back with fond memories of your time in Madrid? MO: I loved it. It was a real experience, playing with a great team. One of the first questions I’m often asked is ‘What was Madrid like?’ It's got that mystique about it. It's a magical place and a magical team, and everything about it is great. It was a real eye opener and I’m really pleased that I spent a year out there. IF: Do you think they can win the Champions League this year? MO: Well, I think they can. I mean, Bayern Munich are probably the standout team on the planet at the moment, but certainly, Madrid are going to be one of the teams challenging for it.